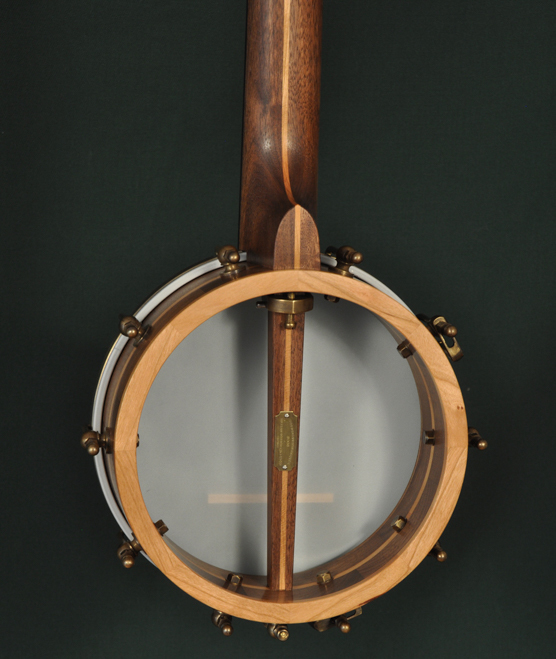 This walnut and cherry piccolo banjo was built for my first international order. I happened to have a very interesting piece of ebony with some distinctive grain that I think complemented the Saturn and Star inlay design nicely. 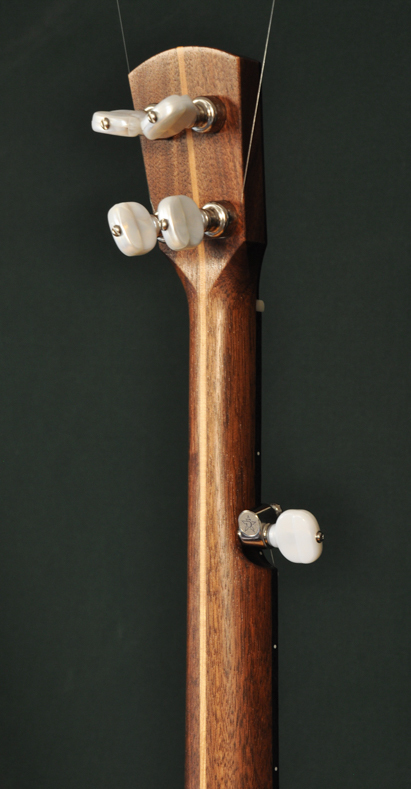 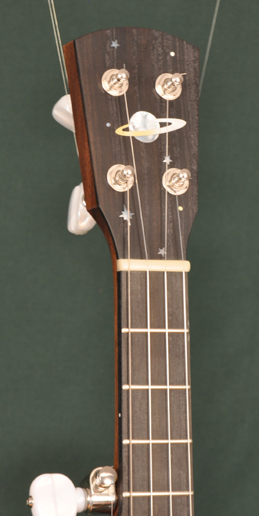 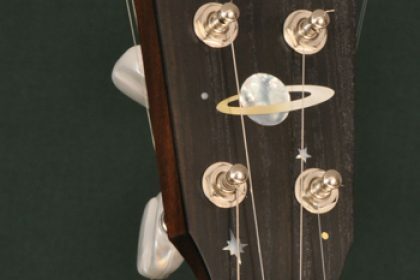 This piccolo banjo features hidden fret ends with no binding, a new standard feature for all Seeders Banjos without neck binding. 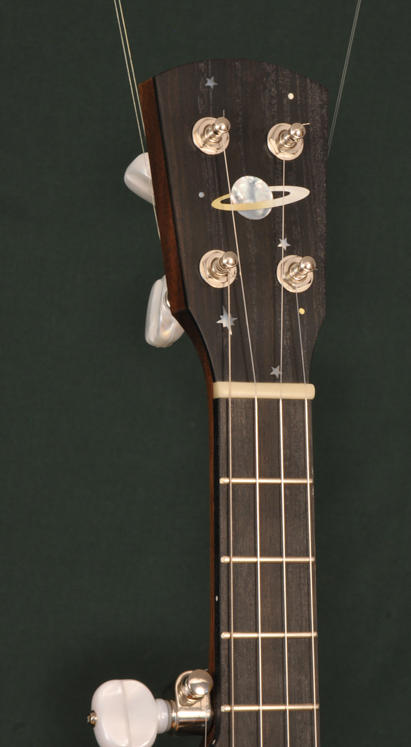 This gives the feel of neck binding but keeps the neck very simple and unadorned.